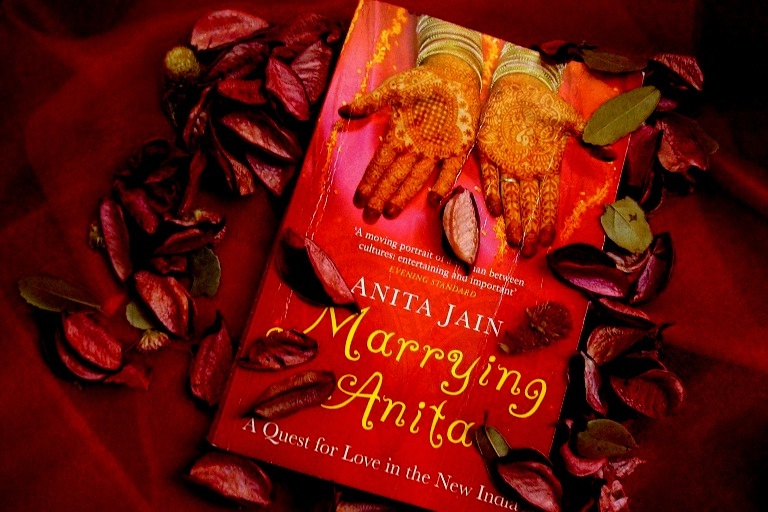 Anita Nair's Jain's Marrying Anita is poignant at times, funny and sarcastic at times and quite realistic at others. Marriage, stands as a testimony to the cultures and customs of any society. There is no denying the fact that it is an integral part of Indian culture. Have you as an unmarried Indian woman, around and above 20 years of age, at some point or the other, faced both covert as well as inquisitive questions about getting married? Family celebrations, any visits to relatives and you are showered with queries that range from the direct “So when are you getting married?” , the veiled ”So what do you plan to do next?” , the emotional “Your poor parents are waiting to finish off their duties. Hope you understand and be a good daughter to them.” and even the seemingly helpful and friendly “Tell me what kind of boy you want. I will search for you dear! Trust me-you will be married within a year without fail! !” Never mind the fact that you may or may not be interested! Your parents are bombarded and you are constantly probed. The more the delay, the more suspicious and worried are the kith and kin, resulting in a more vicious groom-hunt. So what happens if you are a 30-something Indian origin lady, who has lived the most part of your life in the West? This is the basic foundation of ‘Marrying Anita’ by Anita Jain. The story is told from the protagonist’s viewpoint (in this case, presumably Anita herself) and it follows her as she travels from the USA to India in order to find a suitable husband. Of course, she has gone through the dating routines of her adopted country, but has yet failed to find ‘that special someone’ due to varied reasons. Anita finds Life to be quite different and yet interestingly similar to Life, as she knew it, back in the States. She can draw many parallels between both. She is introduced to several prospective grooms but somehow things still don’t fall into place. While on this journey, she meets many people from different walks of life and each one seems to have a different way of handling their respective marriages. Some appear to be mere compromises due to societal pressures; Some seem to be genuinely happy and content while still others seem to be hiding behind fragile facades, which may come crumbling down at any moment and catch you unawares. She realizes that the set of rules that were applicable to the previous generations of our mothers and grandmothers, seem to no longer satisfy the young and urbane Indian woman. Anita comprehends that today’s modern Indian woman is smart enough to set her own rules, bold enough to follow them and what is more, suave enough to pull it off too. She understands also that an increasingly large number of young women are no more satisfied with playing second-fiddle to their husbands and in-laws. No longer does marriage mean abandoning ones’ dreams and aspirations. Rather she expects and in fact, sometimes even demands that her marriage be aligned with her goals. In an era when, even home-grown damsels are increasingly feeling uncomfortable with the idea of an “arranged marriage”, the NRI has her own issues. But then does she really? Are her problems and dilemmas actually very different from that faced by the middle-class, educated, working and independent desi girl of the modern and ever-developing India? These are just some of the questions that arise while reading this engaging book. It has an open and light-hearted air, without being condescending or presumptuous, which makes it a pleasant read. Does Anita find answers to all her confusions and a solution to her problem? Is she successful in meeting the man of her dreams? Read ‘Marrying Anita’ to find out! Chances are that you will relate to it. Have you already read it? Please share your thoughts with me! Great review! Will definitely read the book, now that you have summarized the essence of the bok so well. I'm a big fan of Anita Nair. Should probably read this book. But yeah, i started getting marriage proposals at 19 and I have a simple answer for everything, "I'm a lesbian" although i secretly have a wonderful boyfriend. It works you know. I tried to read it and found it so boring that I couldn't continue past the first few chapters. Hi, I read Marrying Anita and few months ago. And I have been in love with it ever since then! The character of Anita is one that I can relate to so damn well! Almost as if she were a twin of mine! I loved the book, its candid yet humourous portrayal of the situatons a 30-something woman has to face in the search for a husband (in India, of all places! ).